The 2017 Comparative Effectiveness Research Fee is one of the last taxes / fees that were signed into law in 2010 called the Affordable Care Act (ACA). The Affordable Care Act imposes an annual fee called the Comparative Effectiveness Research Fee (CERF) on insurers and plan sponsors of self-insured coverage to help fund the Patient-Centered Outcomes Research Institute. This email includes a brief review of CERF as well as the information and support Cigna provides to answer your questions and help you prepare for this year’s payment. 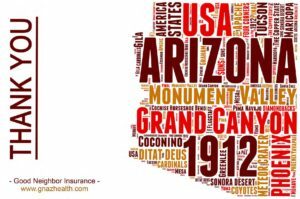 Good Neighbor Insurance is an international medical insurance brokerage firm which was started back in April 1997 here in Gilbert, Arizona. In order for our international medical licensed agents provide top notch medical insurance advice and suggestions to our clients over these 20 years we have to keep up with the U.S. domestic insurance market rules and regulations. The Affordable Care Act (ACA) is has three major parts or also called rules and regulations passed in 2010 by the U.S. government for U.S. domestic health insurance. The first part is the details of the medical coverage for all U.S. domestic medical insurance long term / 365 days a year. The second part is the checks and balances that hospitals and medical insurance companies have to follow in order to keep their status in good standing with the U.S. government. The last part is related to taxes or also called fees. There is around 26 new taxes and fees created by the Affordable Care Act. Below is information on one of the last taxes / fees that the Affordable Care Act has required all U.S. domestic medical insurance companies have to follow. Please note that the Affordable Care Act is only related to medical insurance in the U.S. and is not involved in any international medical insurance rules and regulations. Each U.S. domestic medical insurance company pays the fee for insured plans (including guaranteed cost, shared returns, and minimum premium plans), and it is built into premiums. Health Reimbursement Accounts (HRAs) and certain Flexible Spending Accounts (FSAs) are considered self-funded group health plans. Cigna will pay the fee for the underlying medical policy only; clients are responsible for the HRA/FSA related fee. Self-funded plans (including level funding and graded preferred plans) must calculate and pay their own fee. For a travel medical insurance quote, please call one of our Good Neighbor Insurance licensed agents at 866-636-9100 or locally here in Arizona at 480-633-9500. You may also reach us via email at info@gninsurance.com.